Ken’s leadership of SICO America and now leading our sales teams across the globe is a critical move in providing a seamless brand experience for customers around the world. - Chris Wilson, CEO of SICO Inc. The Board of Directors of SICO® Inc. is pleased to announce the promotion of Ken Steinbauer to Vice President of Global Sales and Marketing effective immediately. Ken will be responsible for providing strategic leadership and unifying global sales and marketing efforts in Asia, Europe, Australia and the Middle East in addition to the Americas. He continues as President of SICO America, the largest operating unit of SICO Inc. and reports to Chris Wilson, CEO of SICO Inc.
Ken holds both an MBA from the University of St. Thomas, Minneapolis, Minnesota and an executive MBA from the University of Minnesota. 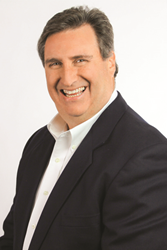 Ken succeeds Jerry Danielson who continues with the company on special assignments. SICO® is the global leader in mobile folding and rolling, space efficient products that help customers optimize their use of space. The detailed engineering and superior manufacturing that goes into every SICO® product is supported by a strong warranty program and excellent customer service. In addition to mobile folding cafeteria tables, SICO® manufactures and sells portable dance floors, catering tables, room service tables, food warmers, luggage carts, mobile buffet stations, portable stages, choral risers, mobile sleepers, crowd barriers and wallbed systems. SICO® Incorporated is headquartered in Minneapolis, Minnesota, USA with additional offices in Europe, Asia, Australia and the Middle East. Please visit http://www.sicoinc.com for additional information. 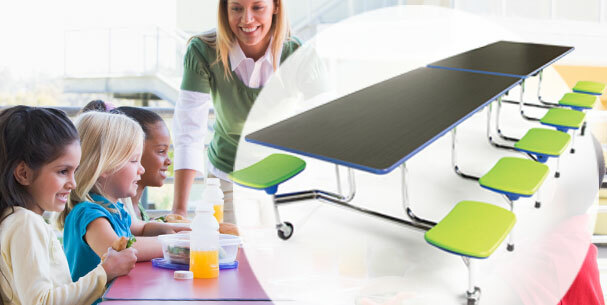 SICO's Newest Cafeteria TableExcluvie SICO mechnical strut for lifetime of easy lift assist. New stool shapes and a variety of colors for any decor. Nearly 200 laminate tops to chose from.